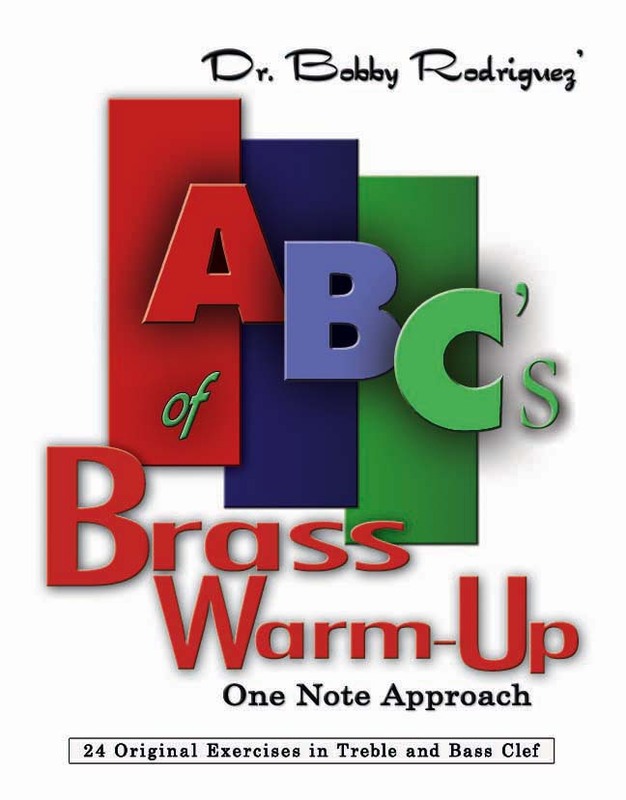 Bobby Rodriguez’ ABC’s of Brass Warm-Up is a valuable new addition to the pedagogical literature for aspiring brass players. Chapter 1 begins by discussing some of the physical and psychological issues involved with learninghow to warm-up and play effectively, proceeding to introduceRodriguez’ warm-up system called the “One Note Approach,” based on the concept that the player should strive to make every note controlled and perfect in order tomaximize the effect of the warm-up. As a brass player, it is beneficial to learn from professional musicians how they personally overcome real or perceived obstacles to great playing, and Bobby Rodriguez reveals his personal secrets in this book. The “Ask the Doctor” section to each chapter anticipates some of the physical problems that young players have such as the “lip tingle” and helps the student to avoid such situations. Finally, the musical exercises attached to each chapter allow the student to begin to practice some of the concepts discussed in the text. As a trumpet student, I heartily recommend Bobby’s book to anyone eager to try out a new approach to warming up and playing a brass instrument.